Of course, everyone can write. Stringing a sentence together isn’t difficult. We do it every day of our lives. But writing engaging copy that’s to the point and (more importantly) makes people react, is a genuine talent. Our recent Aspire 2017 Report revealed that the third most popular group of in-demand candidates were copywriters, content creators and journalists. Why is this? Feedback showed that within the industry, everyone thinks they can write, because, well, we do it all the time. However, using words to deliver a result is an art. After all, copywriting is about persuading someone to do something. It seems simple. But understanding how words can impact another person’s emotions and actions and knowing how to achieve this is a real skill. Used well, words are powerful. This doesn’t mean lots of fluffiness either. Sometimes, fewer words can be more effective. Ernest Hemmingway once bet he could write a six-word novel. Indeed, he did, and it went down in literary history. 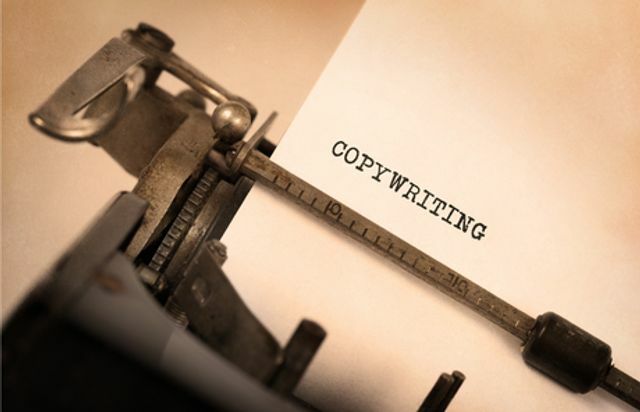 What differentiates a good copywriter is the fact that they never lose sight of the task at hand. They understand the purpose of what they’re writing entirely. A thrilling display of penmanship is not their goal. In an industry where good writers are sought-after, maybe it’s time to start appreciating the art of a professional copywriter and not assume it’s something anyone can do. Copywriting is about finding the easiest way to persuade someone to act. And, like any quest for simplicity, it can be very difficult. It requires a process that is all about delivering a result, understanding what it is these words have to do to another human being’s heart and mind. Starting with the outcome may very well lead to something incredible and award-worthy. But however you arrive at the solution, the most important act of self-examination a copywriter can ever do is to check that what they have produced is actually a solution. Not a thrilling display of penmanship. Not a gasp from the crowd. Not a telegram from the alphabet saying what a bloody amazing individual you are. An answer to the problem you have been asked, and indeed paid, to solve.